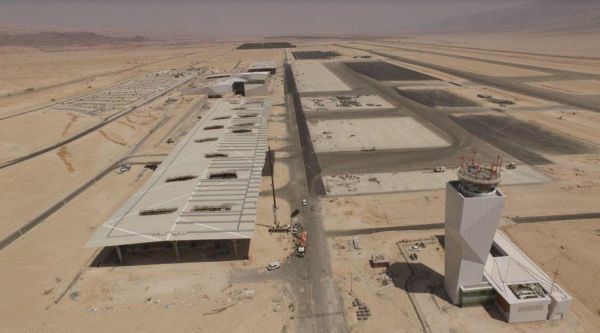 Currently under construction in the Timna Valley in southern Israel, Eilat Ilan and Assaf Ramon International Airport is just months away from handling its first passengers. It is less than 20 miles from the centre of the resort, Israel’s gateway from the Red Sea, and sits next to Route 90 which leads to Be’er Sheva and the country’s heartland. Because of its location Ramon is expected to be a gateway for southern Jordan, including the resort of Aqaba and areas of Wadi Rum and Petra, as well as the Taba area of Sinai in Egypt. Shuttle connections to both Jordan and Egypt are planned as the new airfield becomes a truly regional hub. The $446m operation is scheduled to open in April 2018 and will replace the existing bases of Eilat and Ovda, providing a new gateway for tourists seeking to access the Red Sea holiday destination. Eilat is currently used for the domestic services by Arkia and Israir and moved around 1.5m passengers last year from Tel Aviv’s two airports and Haifa. Ovda, located about 40 miles north of the city, is an existing military base that opens for civilian flight during the winter season for international flights from Europe. The opening of Ramon Airport comes at a time when international traffic to Eilat is rapidly accelerating. According to figures from OAG, two-way capacity at Ovda is set to top 340,000 during the 2017/18 winter season. Contrast that with the same season in 2014/15 when the figure was just 29,550. Much of the growth has been fuelled by Israel’s Open Skies agreement with the EU which transformed air services almost overnight. The total number of scheduled international departure seats from Israel grew by 46% from 2012 to 2016, from 6.4m to 9.4m, and capacity is set to rise further to a record 11m this year. Over the past three years, the number of international carriers serving Ovda has doubled from four to eight, with SAS, Ukraine International, Wizz and Transavia each adding new routes. As a result, international services have increased from eight scheduled destinations in winter 2014/15 to 25 departures for winter 2017/18 in 14 countries. The latest airline to expand in Eilat is low-cost carrier Wizz with four new routes to Ovda from Riga, Katowice, Prague and Bucharest. This winter, Ryanair will add ten destinations – Baden-Baden, Berlin, Bremen, Brussels, Frankfurt, Gdansk, Milan, Poznan, Warsaw and Weeze – giving a total of 14 routes this winter. The Ryanair growth story has been phenomenal, with the Irish airline handling 67% of the existing capacity in winter 2017/18. The carrier only made its debut in Israel in November 2015 with seasonal winter flights to Eilat from Budapest, Kaunas and Krakow. The state-of-the-art operation features a 3,600m runway, long enough for Airbus A380 operations, and with the latest sophisticated security and terminal arrangements. In the middle of the town, Eilat Airport will close, and the three letter IATA airport code ETH transferred. All current civil traffic using the Ovda military facility will also transfer. With the demise of Monarch no airline flies to Ovda from the UK. Ramon should be attractive to both Ryanair, its largest operator, and Wizz, who already fly to Tel Aviv. From Stansted Jet2 and Arkia are possibilities whilst easyJet, the largest foreign carrier into Israel, is monitoring the situation. Once operational, Ramon Airport will cater for both domestic and international passengers and be capable of handling up to 4.25m passengers. The 34,000sq m terminal will have 32 check-in desks, self-check-in areas, and parking spaces for more than 30 aircraft. In order to further stimulate demand, Israel Airport Authority is offering a special package of incentives to airlines. All aeronautical charges will be waived for the first three years of operation, while the Ministry of Tourism and Eilat Hotel Association are offering an additional incentive of €45 and €15 per passenger respectively. 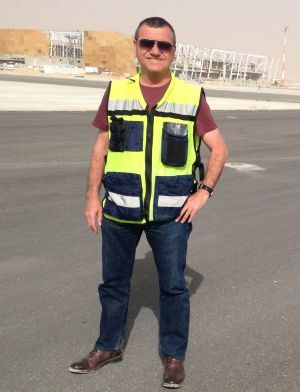 Eilat Ilan and Assaf Ramon International Airport is named after the first Israeli astronaut Ilan Ramon, who perished in the Space Shuttle Columbia disaster, and his son Assaf Ramon who died six years later when his F-16 fighter jet crashed on a training flight. Initial approval for the project was first given in 2003, but it was a further seven years before the Israeli government signed the project off. Work on the airport started in 2013 and it will have an initial capacity to handle two million passengers a year once completed.